Prior to starting surgery, approximately 60 ml of blood is taken form the patient. This small blood volume is then placed into a tube and spun in a high speed centrifuge. This process automatically separates the blood into several different components, one of which we refer to as the "buffy coat" or platelet rich plasma. On activation with thrombin/calcium to form a coagulum, the platelets iuntertwine with the forming fibrin web and immediately release highly active vasoconstrictors. The resulting Platelet Gel contains up to a 4-10 time increase of your natural platelets, white blood cells, and healing factors with the adhesiveness and strength materially greater than the plasma alone. 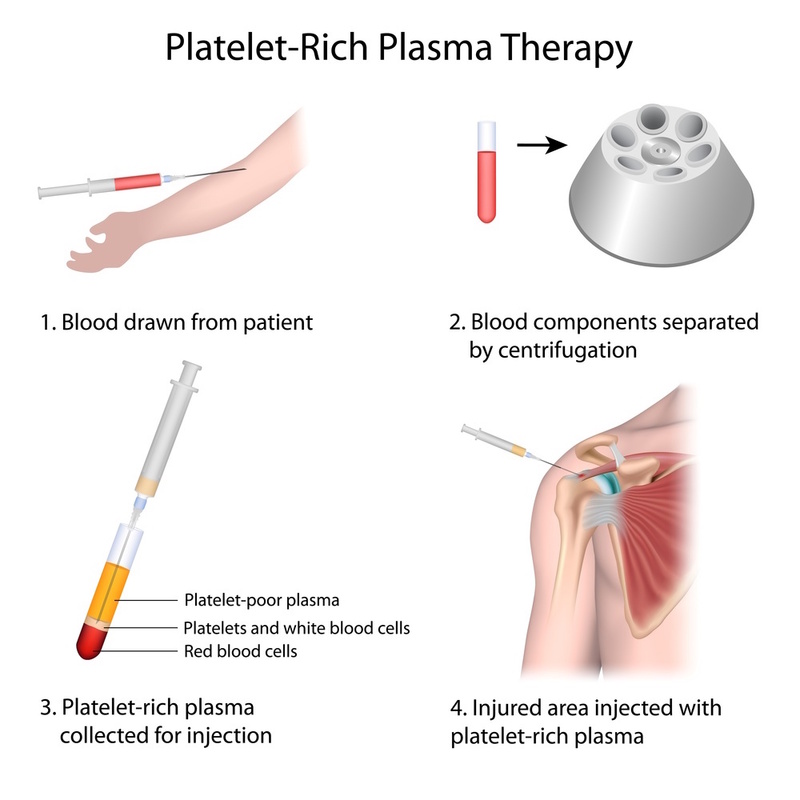 This concentration of "Platelet Rich Plasma" enriches the natural clot to initiate a more rapid and complete healing process.